Move into the fast lane of productivity. GuideSIGN™ takes care of the details such as letter spacing, border widths, and panel dimensioning. And with all the sign panels and standard signs at your call means you’ll be done in a fraction of the time. The latest GuideSIGN version sets a new standard for flexibility and versatility. Almost any highway or roadway sign can be created according to set guidelines. 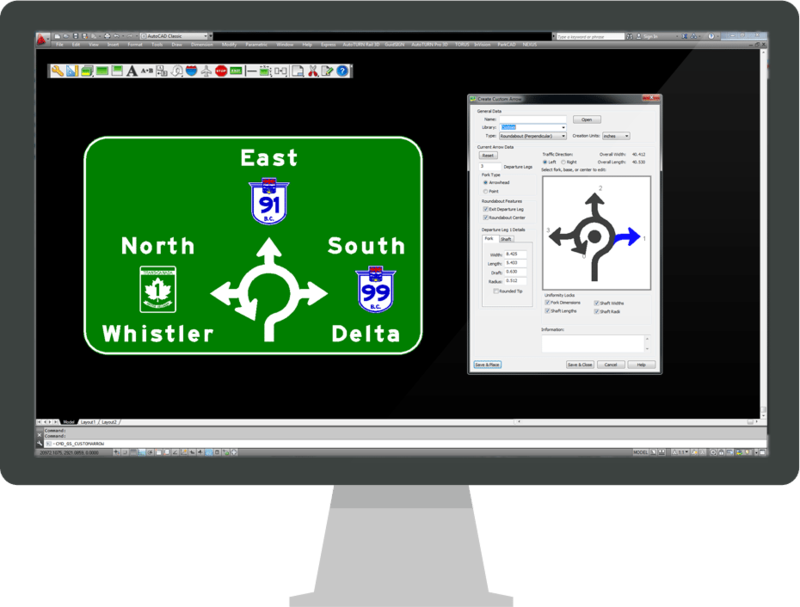 See how all the latest features in this GuideSIGN version compare with earlier releases for designing roadway and highway signs. Exit panel shields for HOV, Toll, and Exit Number with full color symbol support. Over 200 new templates specifically created for the MUTCD 2009.